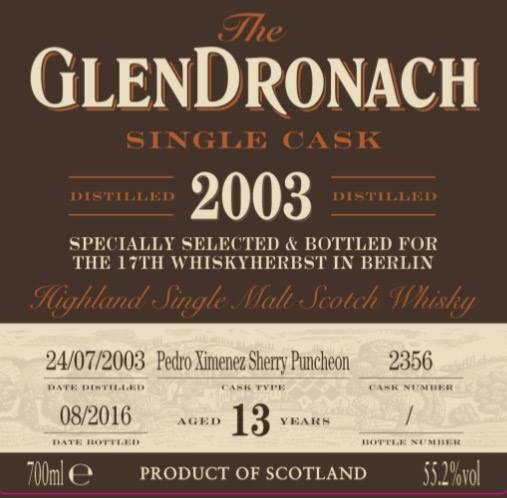 Conclusion: Was a delicious Dram and the price is now almost clear, but I'm still not sure if you have to spend 90 euros for a 13er / soll / want. N: First, there is some alcohol in the nose, everything is very closed, it smells a bit like a wild meadow. In addition a lot of herbs. I'm confused. If you give it a lot of time and a little water, away fruity sweetness, which I can not describe more accurately. Q: The fruits fade very fast and it gets a bit bitter and bitter. But not uncomfortable. Without water, a little marzipan comes before the bitter / bitter note described above. Conclusion: He tastes a little different than the standard 12 year old, but not better. This one is almost as round as the 12er - with considerably more alcohol, but neither taste nor alcohol strength justify the price for me. Palate: Powerful start but absolutely no "burn", warms the neck, pulls the mouth together neatly. Yes, he is a bit bitter on the palate, so probably not really young, neat oak. Spices, again the pepper I already had in the nose, nuts, Lebkucken, and burnt caramel. Finish: medium to long, caramel in the background, bitter oak is always there - but very consistent the whole! I like it. Conclusion: Works for me like a nearly perfectly matured ex-bourbon whisky. I estimate it to be 20 years and he will probably have around 50% vol. Sherry Finish ?? Hmm ... the lack of fruit component and the distinctly sweet taste and caramel / vanilla aromas make me rather close to 100% bourbon. 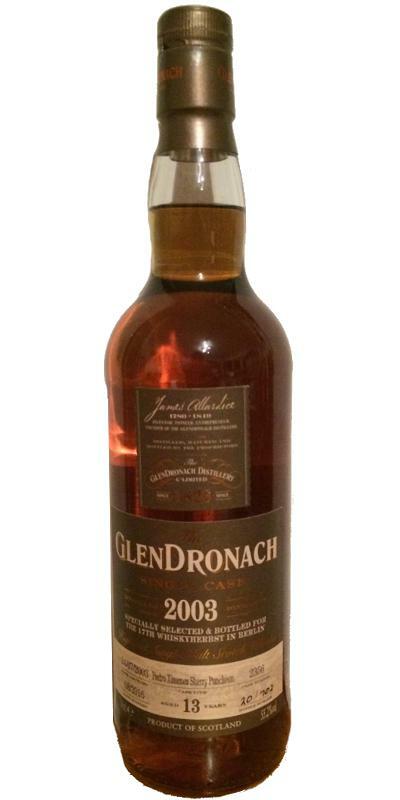 Not a typical GD Sherry representative, but still a good whisky!